These smoky, spicy Sloppy Joe’s are made completely from scratch (read: no ketchup or seasoning packets). Perfect for an easy weeknight dinner or game day! These smoky, spicy Sloppy Joes — or “Sloppy Jenns” as we call them around here — are great for back-to-school and football season. Unlike most Sloppy Joes, they’re made entirely from scratch (read: no ketchup or mystery seasoning packets) and they’re not sweet. The ingredient list looks long but don’t let that deter you; the recipe is easy to throw together on a busy weeknight. Promise! I usually pile the beef onto buttery toasted buns and serve the sandwiches with a Sweet & Tangy Citrus Slaw but the beef mixture is also delicious over rice or pasta. Feel free to double or triple the recipe for a crowd or to freeze some for later. To begin, combine the beef and baking soda in a medium bowl. The baking soda raises the pH of the meat, helping to lock in moisture and keep the beef tender. Mash with your hands until well combined, and then let sit on the counter for 20 to 25 minutes to tenderize. While the beef rests, chop the veggies. I use a food processor to speed this process along, but it’s fine to chop by hand. If using a food processor, be sure to pulse only until the vegetables are finely chopped, not puréed. When the meat is just about ready, melt the butter in a large pan. Add the onion, bell pepper, and garlic. Cook, stirring frequently, until softened, 4 to 6 minutes. Add the beef, salt, pepper, smoked paprika, cumin, oregano, and dry mustard. Cook, breaking up meat with wooden spoon, until mostly brown, about 3 minutes. Add the tomato sauce, tomato paste, Worcestershire sauce, and hot sauce. Reduce the heat and simmer, uncovered, until the sauce is thickened, about 10 minutes. While the sauce simmers, butter the inside of the buns and place on a baking sheet, butter side up. Toast in the oven until warmed through and lightly crispy, about 5 minutes. Taste the sloppy Joe mixture and adjust seasonings. (If you like your Sloppy Joes sweet, feel free to add 1 teaspoon of brown sugar.) Spoon the mixture onto the toasted hamburger buns and serve. Enjoy! In a medium bowl, using your hands, mash the beef with the baking soda. Let it sit on the counter for 20 to 25 minutes to tenderize. Preheat the oven to 350°F and set a rack in the middle position. Heat the butter in a large skillet over medium heat until bubbling. Add the onion, bell pepper, and garlic and cook, stirring frequently, until softened, 4 to 6 minutes. Add the beef, salt, pepper, smoked paprika, cumin, oregano, and dry mustard and cook, breaking up meat with wooden spoon, until mostly brown, about 3 minutes. Add the tomato sauce, tomato paste, Worcestershire sauce, and hot sauce. Reduce the heat and simmer, uncovered, until the sauce is thickened, about 10 minutes. Meanwhile, butter the inside of the buns and place on a baking sheet, butter side up. Toast in the oven until warmed through and lightly crispy, about 5 minutes. Taste the sloppy Joe mixture and adjust seasonings. (If you like your Sloppy Joes sweet, feel free to add 1 teaspoon of brown sugar.) Spoon the mixture onto the toasted hamburger buns and serve. Freezer-Friendly Instructions: The meat mixture can be frozen for up to 3 months and reheated in the microwave om on the stovetop until hot. Just got your cookbook too! This sloppy joes recipes is the best I’ve ever made………..or tasted! I did not change a thing and followed the recipe exactly. I love the addition of red pepper which gives it such a good flavor. I love the tip about using baking soda to “tenderize” the beef. I particularly love that there s no ketchup! Every time I make it I’m asked for the recipe. Okay, I’ve thrown out all my old sloppy joes recipes and this is the only one I make! Definitely a favorite and we make it often! Enjoyed the Sloppy Joe recipe! Thank you Jenn! Excellent as long as you do not use the cumin and oregano, which just ruined it 🙁 Had to add BBQ sauce and more mustard and ketchup to save it. This is really really good! I added celery and carrot but otherwise followed the recipe. Took about 2 hours including the prep and I simmered about a half hour to let it thicken. Will make again and again. I love this recipe with all the spices! After making the recipe exactly as written we found the flavor on the bland side. I made it yesterday and the seasonings were prominent and it tasted great. Today it was too much of a tomato flavor and the seasonings were practically nonexistent. If I make it again I’ll use less tomato sauce and/or reduce the amount of tomato paste. Sorry this one didn’t work for us because we always enjoy your recipes. This recipe was disappointing. I found it to be very bland & uninteresting. Added a 1/2 t of the optional brown sugar, which did not improve things. I have really enjoyed most other recipes on this site and in the cookbook. This is not a Manwich copycat recipe. I think that’s what I was expecting even though nowhere did it state that. I have never made sloppy joe’s from scratch until tonight with this recipe. Part of my New Years resolution was to reduce the amount of packaging our family consumed. Which is what led me to this recipe. I am so thankful that it did. The flavors in this recipe were so much better than those little store packets. I especially loved the smoked paprika. I used 99% lean ground turkey, skipped the baking soda, worschester and hot sauce. All of us loved it including two picky kids. This recipe tastes so much better than the ones with ketchup, etc. It’s a great blend of spices that really add such flavor. And, I never knew that baking soda will tenderize ground beef. Thank you for the wonderful recipes as well as cooking tips. This is my go-to sloppy joe recipe and has become a family favorite. I don’t always add the baking powder to the meat, but that doesn’t seem to affect the tenderness greatly, in my opinion. 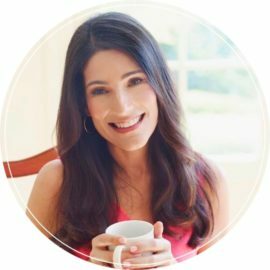 Question: Kate Camargo on Dec. 21, 2018 wrote ” I don’t always add the baking powder to the meat….” The recipe reads “baking soda” not, baking powder….correct? Hi Barbara, I think these would be great on slider rolls — no other changes necessary. Made these the other day and they were quicker than I expected and more delicious too. Used nice potato rolls and although we had a late dinner we all had seconds! Added a little extra sharp cheddar grated on top. Yum! Have been looking for the ultimate sloppy joe recipe for what seems like forever. Made this the other night and it is simply the best we’ve ever tasted! And so easy to make too. Definitely will be our “go to” sloppy joe recipe! This is my go-to sloppy joe recipe. There is a bit of prep but it is worth it. Delicious, easy, comfort food at its finest. Love what the Worsterchire and hot sauce adds to it. I just made this and it’s wonderful! I I used bison, ground pork and a poblano pepper because that’s what I had. This is definitely a keeper! YUM! I always thought I hated them. Then I read your ingredients. It sounded delicious. So I made some. And they were Good! My mom couldn’t believe it when I told her what I was eating. This is a recipe I’ll be saving. These Sloppy Joes are a favorite with all the family! Is there a way to make this in a crock pot? Hi Amy, I don’t have any experience using a slow cooker, so I’m not confident in saying whether or not it would work – sorry! These tips may help though. This was the first recipe from this site that I didn’t absolutely love. Unfortunately, I found it bland and lacking complexity. Perhaps it’s because I grew up eating Manwich-style sloppy joes and expected something along those lines. I ended up adding brown sugar, ketchup, more Worcestershire sauce, Braggs liquid aminos and a little beef stock to get the dish to a place I was happy with. This is a perfect sloppy joe recipe!! I made this recipe with 1 lb. of ground turkey, as that’s what I had on hand. It came out great! I also cut the hot sauce in half, which seemed hardly noticeable. The flavor of the smoked paprika is quite strong, so next time I might do half regular paprika. Very quick and easy solution to a sloppy joe craving! Quick question – do the calories listed include the bun? Thanks! Yes, Rachael, the nutritional information includes the buns. Hope you enjoy! This was an absolute hit! My husband and son loved it. The only thing I did different was add like a half teaspoon of brown sugar. We like anything with tomato sauce in it, to add a little sugar. 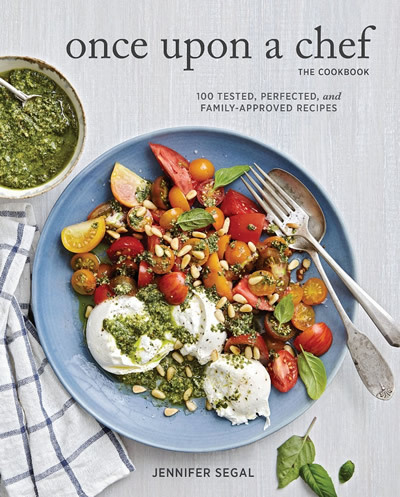 Can not wait for the cookbook to come out!! We’ve made this a few times now! It’s so good (I add the brown sugar for the sweeter sauce). I had been on the hunt for a while, looking for a homemade sloppy joe recipe worth the time to make. This is definitely the one! I made these and they were the best sloppy joe’s I have ever had. I love every recipe I’ve made from you!! This is the best made from scratch Sloppy Joe recipe that I have made. My entire family loves it! It is great just the way it is, but sometimes I substitute ground bison for the ground beef. Also, I add a little Sriracha to kick it up a bit. Family Favorite. I was looking for something quick and easy and my go to when I have ground beef is usually tacos, but I was looking for something different and came across this recipe for Sloppy Joes. I had all of the ingredients, it was simple to follow and easy to throw together. I didn’t even think I would have time to butter the buns and throw them in the oven, but I actually did. The family loved it. Made this the other day for my guys at work. Once cooked , I put it the fridge , just to rest and blend. Got hungry the next day, so I made a sloppy Jenn! WONDERFUL! Not sweet, great spice blend, put on a Brioche bun with melted mozzarella, and a sandwich sliced pickle. This recipe is a great way to treat my husband to one of his favorites while controlling the sodium he needs to keep to a minimum. Easy, fast and delicious. It’s in my short list of favorites. My daughter and I made this together. We switched out the red bell pepper for the green.We used brioche buns and they came out to be gourmet sloppy joes! Keeping this recipe. Excellent, the best homemade sloppy joe recipe I’ve tried!! Thank you for sharing! We loved this recipe, especially not using ketchup or store bought Sloppy Joe mix. We substituted ground buffalo for the ground beef. While we thoroughly enjoyed the Sloppy Joe, we elected to add a tablespoon of bourbon maple syrup for a touch of sweetness. Would highly recommend this recipe! My son, who is a SUPER picky eater, just gave this recipe two thumbs up! I’m so happy…It’s really hard to find meals he’ll eat. Thank you!! I just tried this recipe for dinner….I’ve been craving sloppy Joe’s. I did add a tiny bit of ketchup and a little brown sugar syrup..was baking and sitting in front of me. I also used poblano peppers since my bush had several. My house smells incredible! This is by far the best sloppy joe I’ve ever eaten or made! Can’t wait to try the slaw next time. Thanks!!! Already left a review on my first UAaC recipe because it was a hit with the kids. Second recipe, second review. The kids mom left us a few years ago and I’ve spent God knows how many hours collecting recipes and learning how to cook better. Jenn, where have you been? Right, taking care of your family. Yes I’ve found some winner recipes to keep on rotation but I love the way you write/teach explain. The flavors. Thank you. Best of luck on your book! Hip hip hooray! Another meal my whole family loved eating. Thank you! I’m going to double the recipe next time so half can go in the freezer. The brioche buns are a nice way to fancy them up a bit, too. Totally delicious. My kids and I loved it. My husband is a bit more of a traditionalist and felt the taste resembled too closely to chili, but that just left more for the rest of us! My family LOVED this recipe! So much better than the sloppy joes I grew up with. I reduced the hot sauce to 1/4 teaspoon so my little one could enjoy it. We all loved the toasted buns and smoky flavor. Wow! I made this vegetarian by using Beyond Meat beef crumbles and vegetarian worcestershire sauce. It was beyond good! Made these as a last minute entree for my weekly Sunday Family Dinner, and they were a hit! I used a yellow pepper and since I didn’t have Coleman’s handy, subbed a squirt of French’s. They were great for lunch the next day, too!! Someone must have gotten me a food processor for my wedding (12 years ago) because I don’t know where else it could have come from. I finally took it out of the cabinet for this. I’m glad I did. I try to stay away from processed food and recipes like this make it easy. I’ve never had the canned version but it couldn’t possibly be this good. Thanks Jen. Delicious! I added the sugar. So glad I don’t need to rely on the packets anymore. Thank you for another tasty family dinner!! Supposedly, sloppy joes (aka Taverns) were “invented” simultaneously in two cities including my small hometown of Sioux City, Iowa. Sloppy Joes are a big hit there. I’ve tried a lot of recipes for Sloppy Joes over the years, and I have sampled a lot of recipes. This concoction is the best by far. Thanks. My husband and son loved these! I thought they were delicious too- and great the next day as well. This recipe is a keeper! Thank you! Hi Mim, Canned tomato sauce is simply cooked puréed tomatoes, sometimes with added spices. I think passata is raw? But even if so, it will work. Hope that helps! I❤️ChefJenn! As usual, another excellent recipe from Jenn! In fact, so satisfying was her Sloppy Joe’s recipe, I have added it to my menu plan! Most importantly, my husband loves it too! Thanks again, Jenn! My family loved it! I also left out the hot sauce. It is excellent, followed the recipe exactly as written, I used chicken instead of beef because that is what I had on hand. I made this recipie “as is” for a dinner with friends. The adults and children all loved it! I’m a vegetarian so I love recipes that are simple for me to prepare for my meat loving friends and family. I served these with your sweet & tangy citrus Cole slaw. The entire meal was a hit, thank you, Jenn! Will this recipe work with ground turkey? Sure, Bonnie, but no need to treat the turkey with baking soda. I’d use a mix of white and dark meat, if possible. Made this as written except I discovered I was out of dry mustard so added a squirt of yellow mustard. This was delicious. My husband loved it so much he printed it out so I’d be sure to make it again. Loved a sloppy joe that wasn’t sweet. Somehow I missed out on sloppy joe’s growing up…. and have been making up for lost time! I like all the veg. mixed in. This was super easy to make and tasted delicious! I had planned to make these for a neighborhood get-together this weekend but needed a quick meal after returning from an out of town trip. That was the first great thing about this recipe–simple ingredients that I had on hand. Minutes later my husband and I were amazed that something so simple and quick to prepare tasted so good. Like all of Jenn’s recipes, this is a “keeper.” Will be making these again for the neighbors–there aren’t any leftovers. I would call this adult sloppy Joe. Myself and my husband loved this recipe. I really liked that it didnt include sugar or ketchup like most sloppy Joe recipes do. I bought an 8oz of tomato sauce instead of 14oz but just added a bit of water to make up the difference and it was fine, also added a bit extra hot sauce. Quite tasty! Wow, this recipe completely rocks! A very balanced melange of spices. No sugar needed (for us), and garnished with a touch of fresh thyme and parsley since it was in the refrig. My kids gave it a double thumbs up. Will definitely make again and again. I made this and the tangy citrus slaw this weekend for a family dinner with my Dad. Everyone loved the meal!! I have to say these are the best sloppy joes I have ever had, delicious comfort food! The slaw is flavorful, refreshing as well as healthy and both dishes together are good enough for company or a dinner to take to someone! I used ground beef as I was curious about the baking soda effect , and it really made these moist next time I will try ground chicken!! Keeping the recipe for future too ! Made these last night and my child who is convinced he didn’t like sloppy joes ate it up! Favorite sloppy joe recipe I have ever tried. OMG, I made these last night, following your recipe to a T. (It did not need a splash of cider vinegar or anything else for that matter.) This is the perfect Sloppy Joe’s recipe. It transported me back to my childhood–in a good way. My mom used to call them Wimpies. This was the first recipe I have tried from your blog that hasn’t blown me away. I made it as written, but next time I will definitely use regular paprika in place of smoked and play around with the seasoning mix more. Certainly a good base recipe for homemade sloppy joes from scratch, which I have been searching for. Thank you, as always! Excellent recipe! I made it exactly as written and the sloppy joes were delicious. It was almost more like a chili. The seasoning was perfect (and you could build the heat to your preference). It was juicy and tasty! I wouldn’t add the sugar. These are what Sloppy Joe’s should be; tangy, flavourful, the right amount of spice and heat, and just a wee bit sloppy! We used our favourite butter tray buns and they were perfect (for us, at any rate). I see where Celeste used brioche slider rolls – brilliant! I also notice that substitutions for the beef include chicken and turkey, I may try these with ground pork but they are so delicious it will hard to deviate from the recipe. I made these exactly as written and they were So SO good. Definitely a little spicier than what my mother made (That is a good thing!) Also, she called them wimpies. Thank you, Jenn, for a blast from the past. I made this sloppy Joe recipe this week. It was fantastic! I have also made your bolognse sauce, also outstanding. You are my go to spot for great recipes. Thank you! Made it tonight for family dinner. Was just right for 4, 2 of whom are on low carb diets so skipped the hamburger bun. Wonderful flavours, even sophisticated, and no need for sugar unless like too many people you are addicted. I made your recipe for company tonight and everyone loved them! I followed the recipe and only had a little left over. I made the slaw to go with the sloppy joes and it was a perfect side. Thanks for all the good recipes. Cooked the sloppy joes for supper tonight. I left out the salt and used no salt tomato since I am on a low salt diet. Very Good! Nice Sunday night supper. I just made this recipe today for lunch and served it on little slider brioche rolls and have to say absolutely amazing! This is another one to add to my working mother weeknight dinner recipe repertoire. Thank you so much Jenn for your great recipes! Love it. It is the best I’ve ever tasted. Could eat it every night. Thank you for sharing your knowledge and skills with rest of us. I look forward to your subscription. My bugging question is : can baking soda be used to tenderize cheap cut beef if yes ,please advice ratio and duration for effectiveness. I made sloppy Jo this morning , substituted with ground turkey , it also worked very well. Hi Nikki, Sometimes baking soda is used as a tenderizer in Asian cooking for tougher cuts like flank steak. Here’s a tutorial on how to use it. Just as an addition to my last comment: I used regular paprika and did add the tsp of sugar. Once again your recipe came just when I needed it! We made these last night for dinner and now I FINALLY have the Sloppy Joe taste I’ve been looking for! I left out the hot sauce for everyone to add later and that was fine. The dry mustard and Worcestershire sauce gives it enough spice for me. Next time I’ll double the recipe, though; the portions were a little small. And to think that I thought the packet Sloppy Joe mix was good. This was SO MUCH BETTER and so simple. I am beginning to enjoy cooking again since all of Jenn’s recipes are delicious and easy to follow. Amazing! I followed recipe exactly as written except omitted tomato paste. I did not add the optional sugar. This was the Best sloppy joes we ever had. My son who has traveled all over the country stopped by and commented he normally is not impressed with sloppy joes but these were amazing. He ended up having a second serving. Thanks so much. I was so excited to see a sloppy joe recipe in my inbox that didn’t use tons of ketchup/sugar so we made these today. The recipe was extremely easy to make. I followed the recipe exactly & we did add the 1 tsp of brown sugar since I thought my family would prefer it in there for our taste. Our thoughts during our meal was that they were good but not the sloppy joe taste we are used to. This recipe was nice but we didn’t love the smoked paprika. But in saying that my kids preferred this version over the sugary ketchup one I normally make so it’s a winner in my books – lol. Hi Tracy, Feel free to replace the smoked paprika with regular paprika next time. And for a more typical Sloppy Joe flavor, you might replace the tomato sauce and tomato paste with 1 (8 oz) can tomato sauce and 1/2 cup ketchup. Hope that helps! Jenn, I love your site and recipes! In fact this is the only foodie site I look forward to reading and trying the new recipes on a regular basis!! The Sloppy Joe’s are delish and I Loved learning about the use of soda which I will now incorporate in other recipes. Thank you! These Sloppy Joes are the best I have ever had! So quick and easy to make too. I served them on toasted Hawaiian Rolls to add a little sweetness. Served Jenn’s fantastic Curried Roasted Carrots as a side dish for a total finger food dinner. Everyone at my football game night dinner begged for the recipes!! SCORE! I’ve always made Sloppy Joes with white vinegar to give it some bite, but love this recipe without it! Adding baking soda to tenderize the beef was new to me – it worked great! I plan to try it with other beef dishes! Thank you for your great ideas! I love receiving your recipes. It takes the boredom out of cooking! I used to love Manwich Sauce for Sloppy Joe’s (I know, shoot me), but the last couple of times I used it, it seemed blah. I’m going to try this when I pick up some ground chuck at Coop this week. Will report back! Yes, Cathy, it freezes nicely! Really good! Not overly sweet like some recipes. I thinks it’s a new favorite and can’t wait to try it out on the grandkids! I love all your recipes, and I’m sure this one is as delicious as the rest. Please pardon me…as a grammar & punctuation fiend: no apostrophe….SLOPPY JOES. Apostrophe S (‘s) is the possessive form, not the plural. That being said, I love your website. Oops! Thank you, Kathy — I missed that one but it has been corrected :). I have been “converted” from using the packet! Easy and delicious! I made the Sloppy Joe’s / Sweet & Tangy Citrus Slaw (with cilantro.) It was amazing! like a party in your mouth! The Sloppy Joe’s are very easy to make and freeze great for an easy delicious meal on those nights you don’t have a lot of time to cook! I’m going to thaw the remainder Sloppy Joe’s in my slow cooker on the 24th for the Pat’s game and serve them tortilla chips and guacamole! Can’t wait! Oops, one question: No vinegar? It seems to cry out for a splash of maybe cider vinegar, or is that overkill with the worceshire? I don’t think it needs it, Lisa – there’s already quite a bit of tang from the tomatoes and Worcestershire, and since there’s no sugar you don’t need vinegar to balance the sweetness. But if you think it’s missing something, there’s no harm in adding a little cider vinegar. Any suggestions on how to make this vegetarian? tofu or beans? Hi Sandy, perhaps this could be made with tofu, but I don’t have any experience cooking with it, so I’m not a great resource there! I do think that beans would work. I’d add them at the same time you would add the beef. (And I’d suggest cutting back on the salt in the recipe if you’re using canned beans.) LMK how they turn out! Sometimes I think you read my mind. I was just recently looking for a Sloppy Joe’s recipe and all of them seemed way too sweet (or called for Ketchup–big No). I will report back when I make these. Hi. I noticed that you said it would be great with ground chicken, but didn’t mention ground turkey in either of your replies. Would it be OK with that? And I usually just use white meat but would it need some dark turkey in the grinding or am I fine with just white meat? Thanks! Hi Jane, I prefer ground chicken to ground turkey, but I do think a blend of white and dark meat turkey would work too. Please lmk how it turns out if you try it that way. How do you think these would be with either ground turkey or ground chicken? Hi Mary, I think it’d be wonderful with ground chicken – and no need to treat it with baking soda if you go that route. 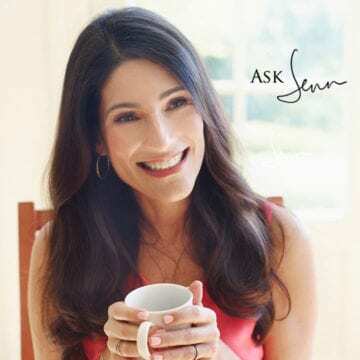 Hi Jenn…question. Have you tried this recipe with ground turkey or chicken instead of beef? If so, would you make any modifications to the other ingredients or leave everything as is? I haven’t April but it would be great with chicken. And you can omit the baking soda step if not using beef.